Part of what makes our community so successful is that all of the members are committed to making it successful. We do not offer free trials because we want to keep the high signal to noise ratio we currently enjoy, and we want to focus our energies on the people who understand and appreciate how we can drastically increase the profits of their business. Offering free trials would allow a bunch of people who are not committed to success to pollute our community and destroy its value. Here is a profit graph from a guy I gave 15 minutes of consulting to in December 2006, so you can see how powerful a strong SEO strategy can be when coupled with the right monetization strategy. 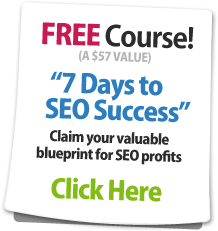 We do give a lot back to the SEO industry, making many of our SEO tools publicly available. Our public SEO blog is one of the most respected and widely read sources of information in the field, and we feel the thousands of posts we have made over the years are our free trial. If after reading through all of that you still feel we are risky then we welcome you taking your business elsewhere. Realizing that many people are concerned with mitigating risks, we do offer risk free pro-rated refunds, and a number of our training modules are publicly available so you can assess the quality of our training program.